Middle school can be really hard. Do you remember middle school? All sorts of drama and changes and emotions! As our oldest is preparing for middle school this fall, we decided on some advice for middle schoolers. First of all, how is our baby entering middle school? Life has a way of making your heart rejoice and ache at the same time – rejoice at the remarkable child growing before your eyes, and ache as you realize how quickly the years have gone by. Is it possible to share our heart and our hopes for them? Is there a way for middle schoolers to fully recognize their worth? Can they walk through their preteen years with dignity and confidence? Nothing’s guaranteed but, as parents, we’re sure going to try. We’re going to do what we can to increase the odds that our middle schooler thrives. For the last few years, we have used Words to Live By to teach our kids life principles about grit, self-worth, leadership, faith, and friendship. We developed a free list of 36 life phrases that we discuss and apply life lessons to. After lots of discussion and prayer, we’ve settled on 12 pieces of advice for middle schoolers. We’ve been discussing these with her, and she’s written them down to read periodically. What makes you different is what makes you awesome. Our daughter started noticing something last year: most fifth graders didn’t really have cliques, but sixth graders only hung out in certain groups of people – and everyone in each group all looked the same. Our daughter doesn’t have to pick a group, or wear the same clothes as her friends. The sameness that we share with others isn’t what makes us special. It’s our differences! Can you imagine a world where everyone was the same? It would be so boring! God values uniqueness – that’s why every fingerprint, every ear, every snowflake is unique. He didn’t have to make every snowflake different – He chose to. Out of the billions of people who have lived throughout history, there’s not a single duplicate fingerprint. God values uniqueness, and He created everyone specifically unique! When we try to diminish what makes us different, we diminish the deliberate work that God created in us. It’s better to walk alone than to walk with a crowd headed in the wrong direction. Peer pressure has always been around, but what middle schoolers today are being pressured to do? The timeline has shifted up immensely. We’re talking about advice for middle schoolers, and they’re facing pressures I hadn’t even heard about until college. The brain grows and changes more during the adolescent years than during any other time besides the first few months of life. During this phase of increased peer pressure, middle schoolers are making behavior choices that can affect the rest of their lives – at an age when they aren’t mature enough to make these choices. The best way to stand up to peer pressure is for kids to know they don’t have to do what everyone else is doing. Our advice for our middle schooler: Your value is not worth winning a popularity contest. Don’t compare your weakest moments to someone else’s highlight reel. Middle school is full of comparisons – who’s taller, skinnier, more developed, better at sports, richer. The pressures are even worse than when we were kids because of social media – Instagram and Snapchat being among the worst for young mental health. Young Instagram users report high levels of anxiety, depression, bullying and FOMO (Fear of Missing Out). It is so easy to compare someone’s best to our worst, but it isn’t putting ourselves in a fair light. Everyone has faults, mistakes, and bad days – and everyone has strengths and successes! We can never know for sure what anyone is going through, good or bad. One thing’s for sure: middle school will have drama. Gossip. Teasing. Silent Treatment. Just because it’s happening doesn’t mean you need to participate in it. You don’t have to gossip, tease, or manipulate those around you. Be kind. Stand up for the marginalized. If a friend is gossiping about how she’s mad at Jenny, encourage your friend to actually talk to Jenny. It’s always better (and more productive) for them to talk to Jenny, not about Jenny. If we carry ourselves with dignity and kindness, we are more likely to be treated with dignity and kindness. We’re teaching our kids to refuse to lower their standards to get approval from anyone – instead, wait for them to raise their standards. If someone’s treating them poorly, they need to reevaluate the relationship. 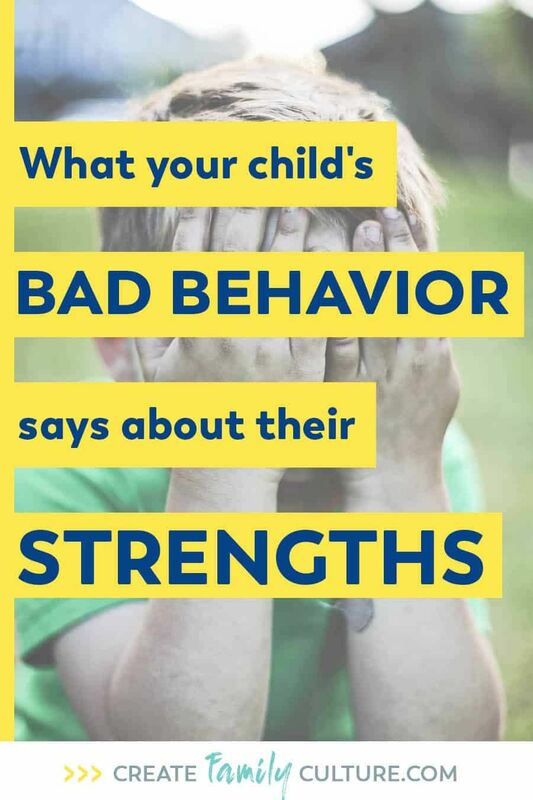 We hope our children know they are worth being treated well, confident enough to communicate that to others, and strong enough to end relationships when they need to. When you make a mistake, the safest people you can talk to are mom and dad. No one loves our kids more than we do, and our love is unconditional. So is our forgiveness. Friends will not love as steadily or forgive as easily as we will as parents. If our kids make a mistake, we invite them to talk to us about it first – not only to accept responsibility for their actions, but so they have a safe place to talk through their mistakes and receive forgiveness. Since I know this about myself, I have to consciously work to remain calm when I sense a confession coming from one of our kids. It does not come naturally to me, but I recognize it is important for me to be easy to admit mistakes to when they’re younger, so they’re more likely to share with me as they grow older. Home needs to be our children’s safe place. Oh, how I pray this is brazenly etched in our children’s hearts, and boldly fixed in the forefront of their minds. They are wonderfully, uniquely, and purposefully designed by a God Who loves them fully and without reservation. I knew my daughter by name for 18 years before I saw her face for the first time. As a couple, we prayed for our daughter for seven years before we held her in our arms. She is wonderfully made and fiercely loved. The more they realize who they are as a child of God and a valued member of our family, the more secure they will be in who they are. Choose what you want most over what you want now. Kids in middle school tend to be impulsive and driven by their emotions. During this phase, it’s important to emphasize the concept of delayed gratification. Do you want to spend $2 now on candy, or save it for something better later? Do you want to play that video game now, or study so you can make the honor roll? It’s worth waiting for things we value. In fact, it’s often necessary! Setting priorities (and sticking to them) is a skill that will serve kids well as they get older. There’s no better time to start that habit than the middle school years. Seek respect, not attention. Respect lasts longer. Everyone can have their 15 minutes of fame, but those moments are long forgotten. Respect is built through daily consistency of positive character and actions. Kindness, generosity, honesty all lead to respect, and respect can bring opportunities and relationships that would never be possible by chasing attention. We teach our kids there are two things you can always control: your actions and your attitude. We’re responsible for our attitude in any circumstance. No one can make us sad, angry, or even happy. We choose those emotions – and that’s OK! It’s ok to be sad or frustrated. Sometimes, it’s necessary to be upset. However, we can’t blame other people for our attitude; it’s our responsibility. If we don’t like something, we can change it. If we can’t change it, then we have to change the way we think about it. In any situation, we can find good. Without purpose, it’s easy to choose meaningless activities and shallow relationships. It’s easy to be influenced by whatever culture throws at them. But, when teenagers know they have a purpose, they realize their life has meaning. Their actions, relationships, and choices mean something. It helps kids prepare for their purpose and stay focused. It’s not necessary for middle schoolers to know exactly what they’re going to do as adults – they can still know their purpose. We are created to do good works. All of us, even middle schoolers! Their purpose is to do good works, and the details will come as they grow and mature. It is our hope that our daughter listens to our advice for middle schoolers and takes it to heart, knowing we have her very best interests in mind.